22nd and 23rd of October: Rest in Pieces invites you to attend Australia’s first skeletal articulation workshop. Gerard Geer, one of Australia’s leading skeletal artists, has joined the R.I.P team and will take you on a very special exploration into skeletal articulation. The 2-day workshop will combine hands-on experience in both the skinning and articulation of your specimen with an hour-long seminar on the normally week long process of cleaning and preservation to give you a comprehensive introduction. 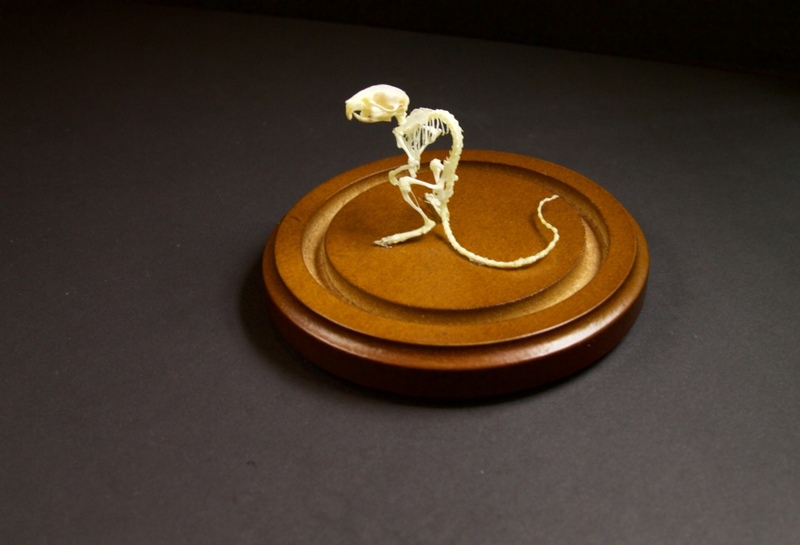 At the end of the 2-day workshop you will walk away with your own gorgeous mouse skeleton, mounted in a glass dome and an insight into this fascinating art form. What’s Interesting about this event? It’s for the curious minds! No previous taxidermy or skeletal articulation skills are needed for this class. This is an all-inclusive experience with Hands on skinning and articulation classes plus a seminar on skeletal preparation and preservation! No previous taxidermy or skeletal articulation experience is necessary to attend this class. This fantastic 2 day course will be held on the 22nd and 23rd of October. Book now to avoid disappointment.